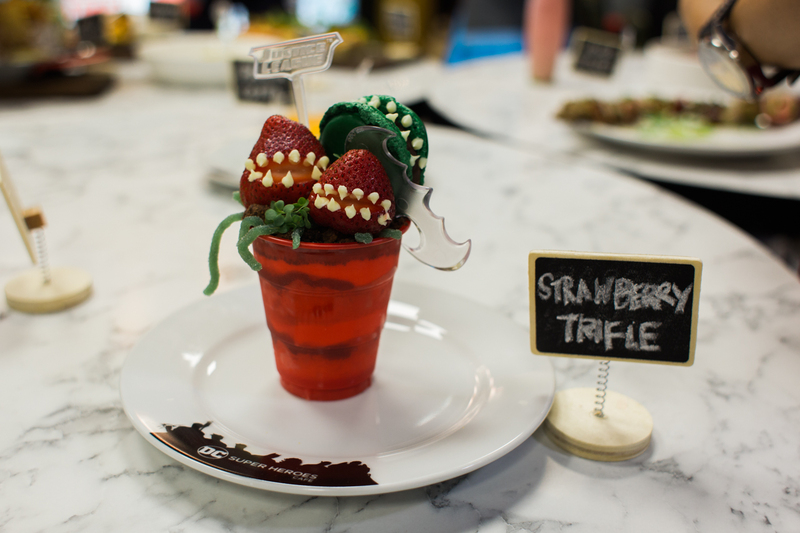 As it officially opened yesterday, our coverage of the opening of DC Superheroes Café is not complete without talking about the food. 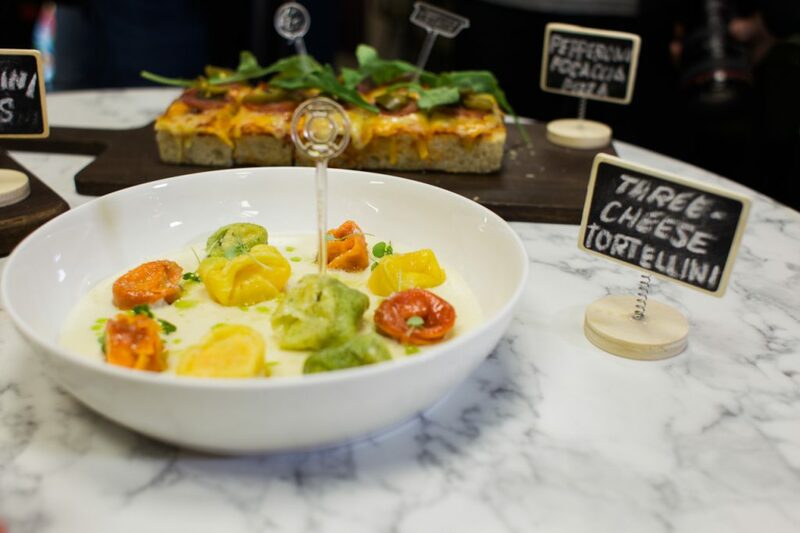 Prior to the official launch, select members of the media tried out some of the offerings—all conceptualized by Chef Mikel Zaguirre of Locavore Kitchen and Chef Kalel Demetrio of Liquido Maestro from the ground up. Lamb Skewers. 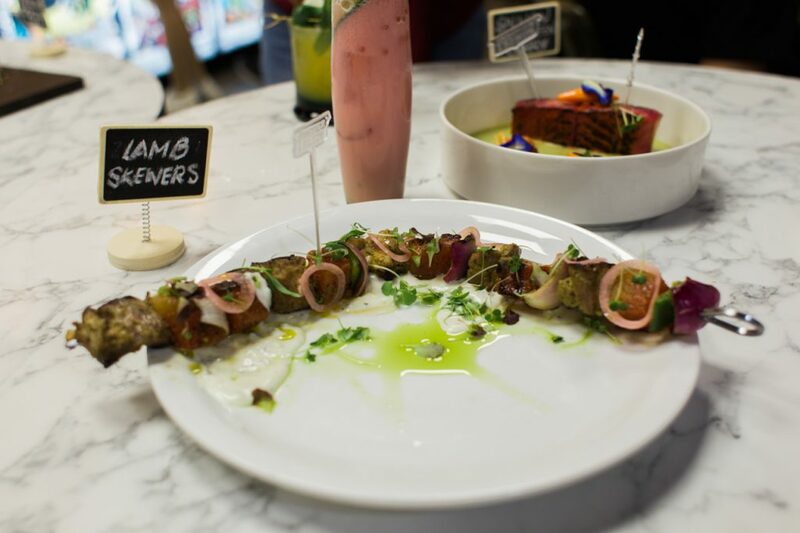 Shaped like a boomerang, this delish main course meal is made from the finest Australian lamb meat paired with grilled watermelon and Tzatziki sauce. It is a healthy option for those craving for meat. 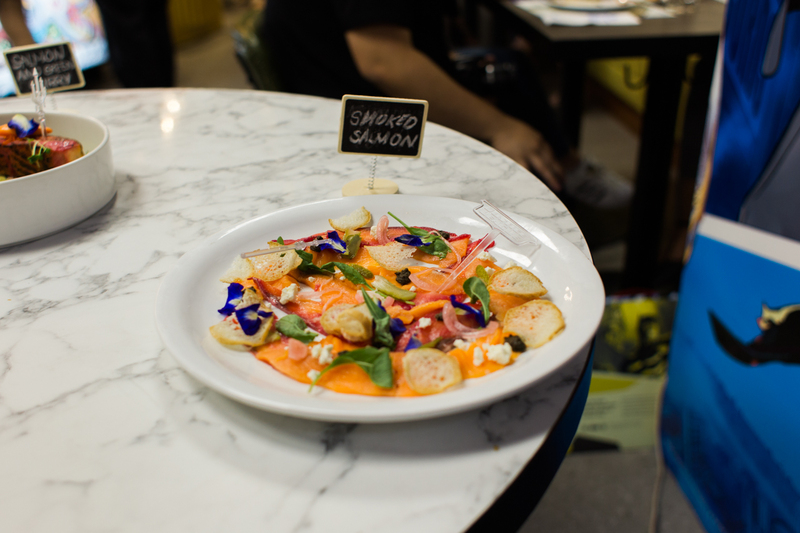 Smoked Salmon Plate (Php 450) If you prefer seafood, the smoked salmon is a definite treat: The freshly-cooked smoked salmon is paired with feta cheese, olives, pickles, and baguette slices, making it a deliciously healthy treat perfect for sharing. 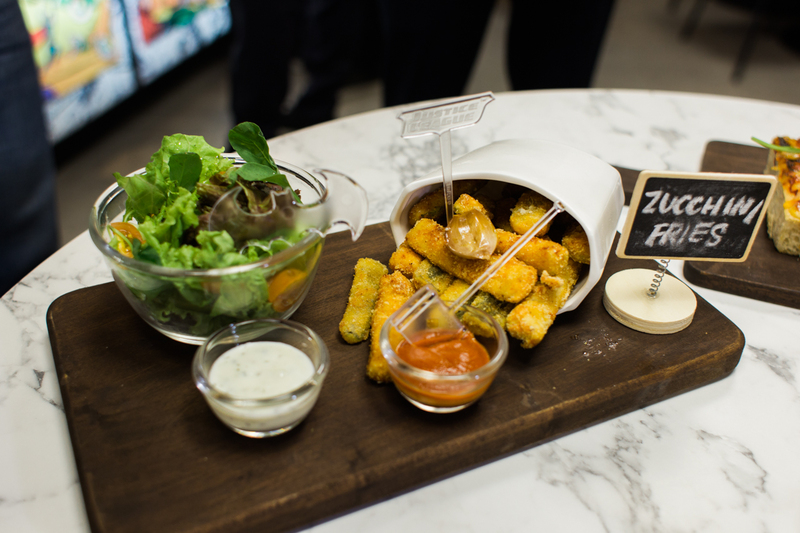 Zucchini Fries (Php 380) If you want some guilt-free comfort food, this is a must-eat: While it is fried, inside it are healthy portions of zucchini that has the same texture as potatoes. Oh, and it comes with a salad on the side too. 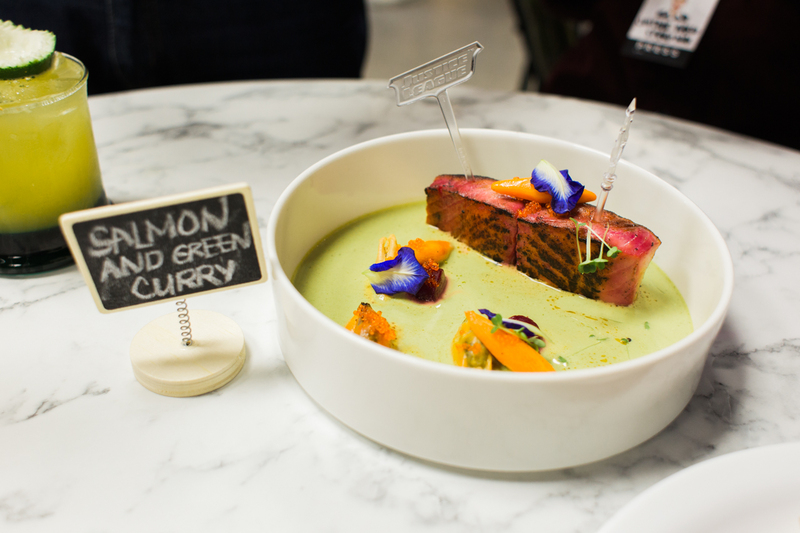 Salmon and Green Curry (Php 540) Initially called “Arthur Curry” during the media presentation, this main dish combines the freshest seafood ingredients (salmon, mussels, ikura) with homemade green curry, giving the dish a mild spice to it. Three Cheese Tortellini (Php 390) Formerly named “Power Rings Tortellini” , what makes this pasta dish unique are the ring-shaped pasta that’s stuffed with various cheeses. 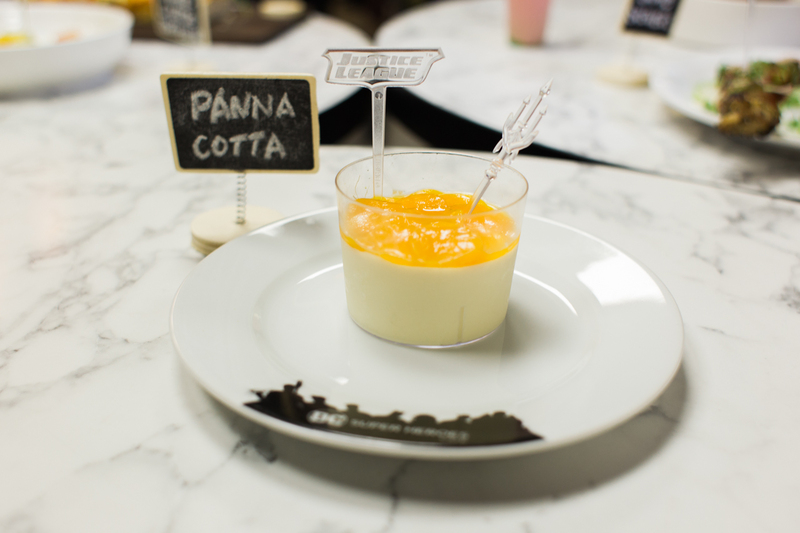 Paired with Alfredo sauce, this is a meal that cheese lovers will definitely love. Pepperoni Foccacia Pizza (Php 480) Formerly named “Barry Allen’s Pizza”, aside from being topped with generous amounts of pepperoni, what makes this stand out is simplicity! 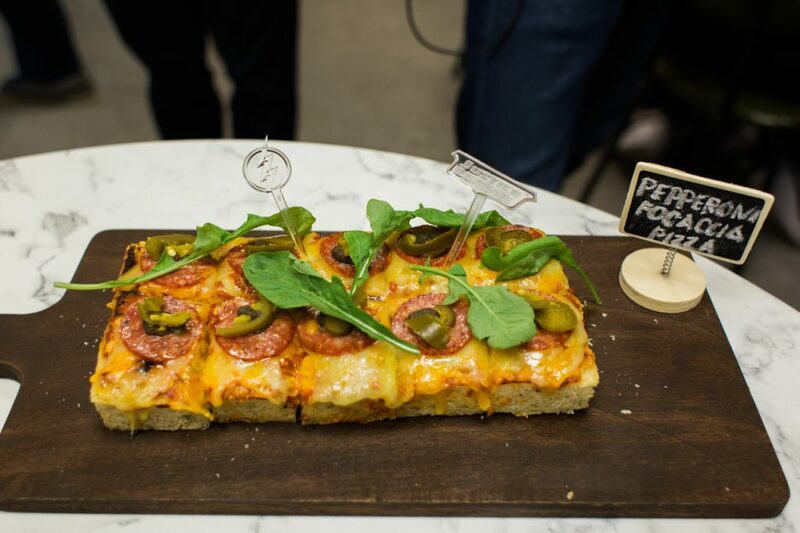 Along with olives, cheese, and jalapeno on a soft focaccia bread, this pizza will definitely give you a boost anytime of the day. Strawberry Trifle (Php 170) Formerly named “Pretty Poison”, there’s a lot going on with this dessert. Strawberry jam, chocolate soil, sour vines, and mint-chocolate flavored macaroon, all create this sweet and tangy dessert that’s absolutely criminal for you not to order. 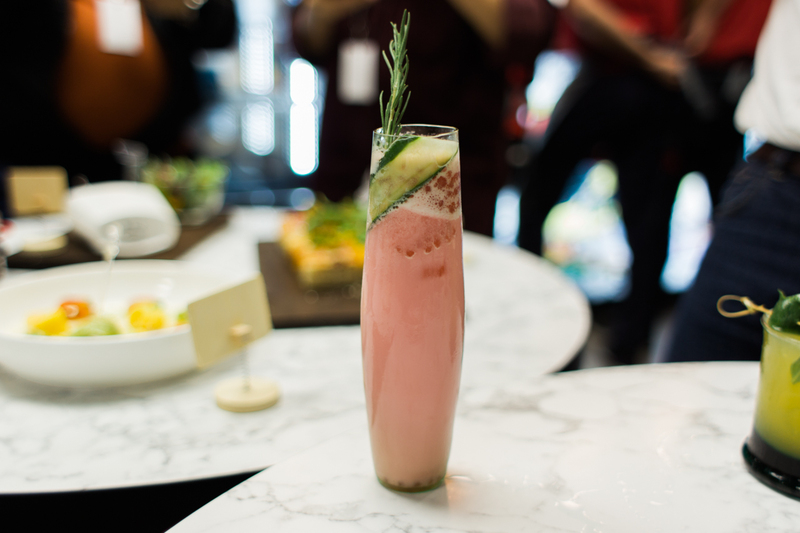 Roses and Thorns (Php 280) Don’t be deceived by its innocent-looking pink color: This cocktail gives you the right kick thanks to a mix of white rum, gin, lime, milk, cucumber, rose, and rose tapioca. It’s best described as a potion, and don’t be surprised why. Green Paradise (Php 280) If you want something subtler than Roses and Thorns, Green Paradise is your definite choice. 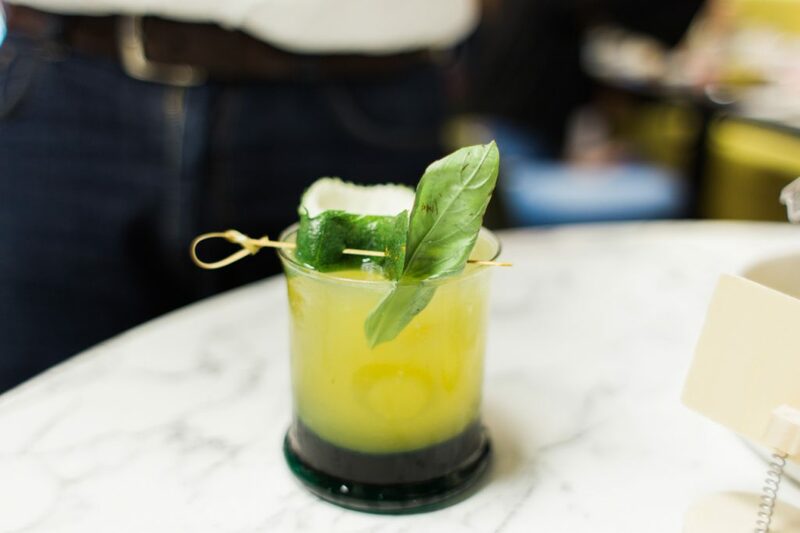 It has less alcohol than Roses and Thorns (it only has white rum), yet it gives the right amount of buzz for you to enjoy the night. That’s our top 10 picks. 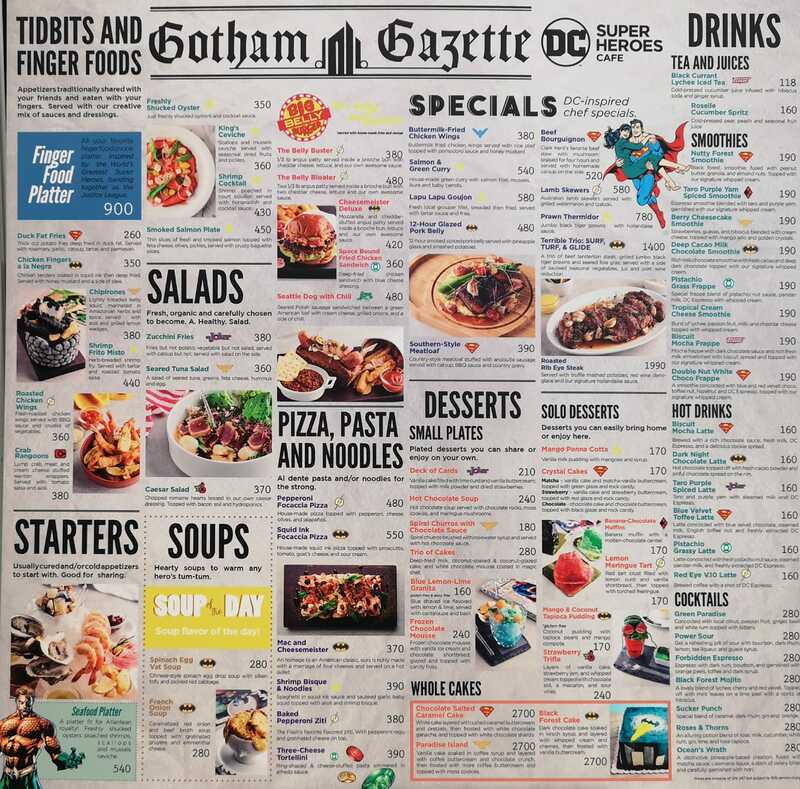 Have you visited the DC Superheroes Cafe at the 4th level SM Megamall Fashion Hall, yet? What’s your favorite among their selections? If you’re still on the fence about the cafe, I made a vlog so you can see more of what’s inside this super geeky cafe!